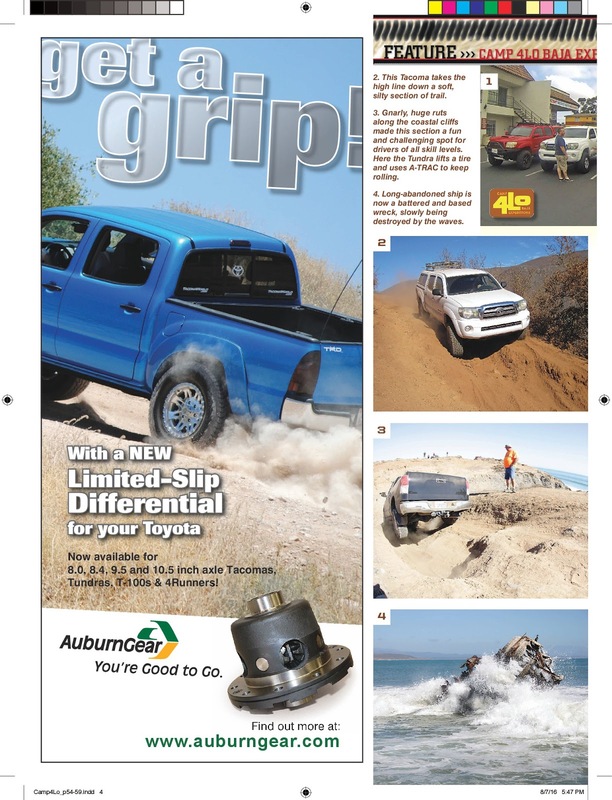 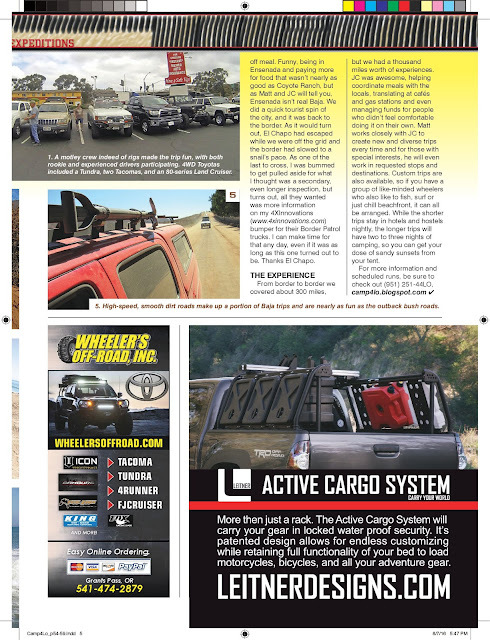 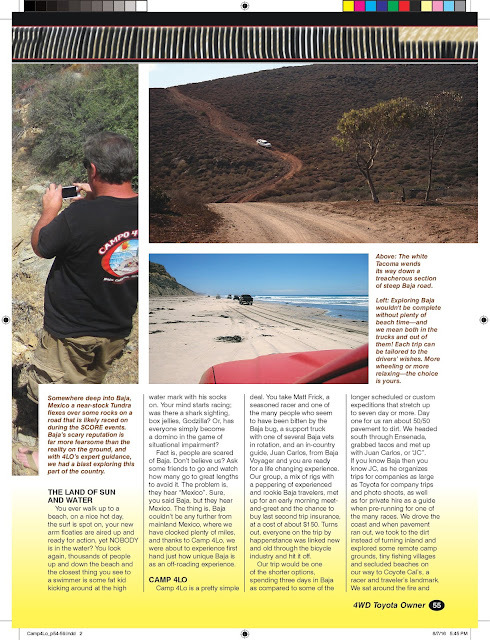 Ben Crockett, editor at large for 4WD Toyota Owners Magazine came with us on a trip a while back and wrote all about it. Thank you Ben for the kind words. 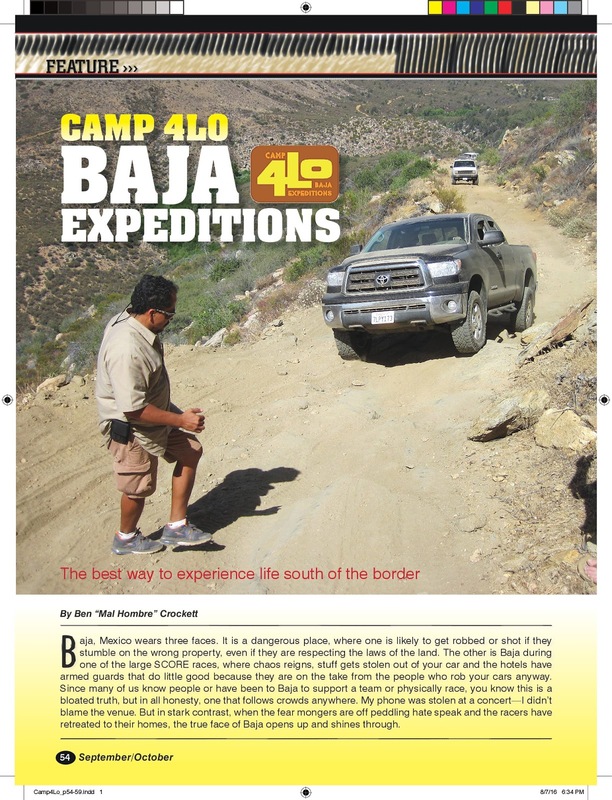 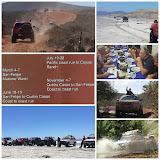 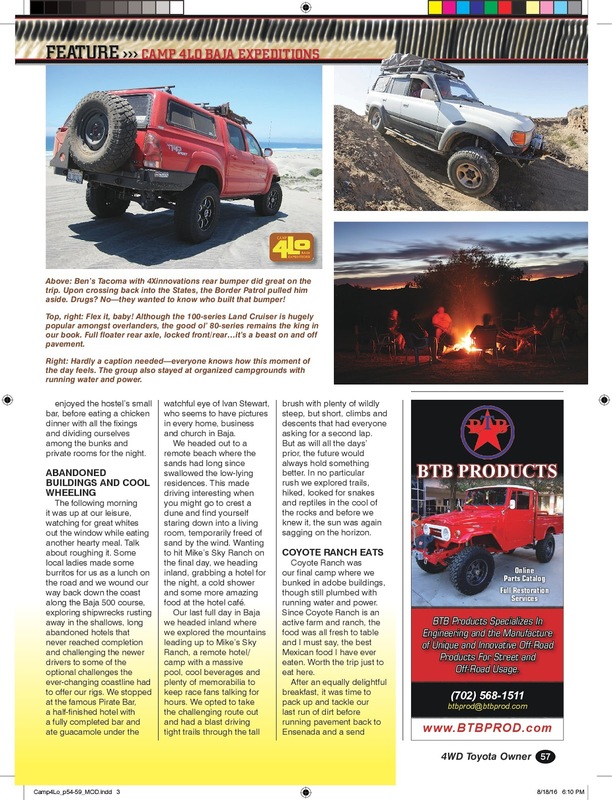 We are so glad you had a great trip and look forward to putting your Taco through the paces on our Pole Line Road / Baja 1000 spectating run in November.